This is not Iran, Iraq or Saudi Arabia. THIS IS BROOKLYN, NEW YORK! 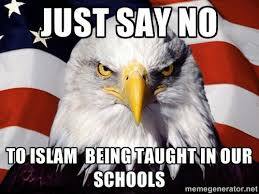 We are being invaded by a foreign culture attached to foreign laws, Sharia. The reason we created our Government was to protect US from this kind of invasion. When will we stand up against this invasion, when Islamist number 30 million? Why are we being so tolerant toward a ideology that wants to kill us? 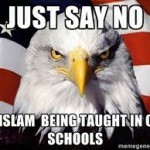 Islam will be no different in the USA. Oregon shooter is a mixed race black racist with Jihad connections. CNN photo shopped his picture to make him look white. “If they come in, and if I win, they’re going back. They’re going back,” Trump said to applause. “This could be the ultimate Trojan horse. He called for the creation of a “safe zone” in Syria where the refugees could settle. US Mayors ask for more refugees. They are going there to get subsidized Section 8 housing vouchers to take to another state. WE SHALL CONQUER THEIR COUNTRIES – whether you like it or not, oh Germans, oh Americans, oh French, oh Italians and all those like you. Mother of two was kidnapped and raped by 11 young Muslim men for 7 hours. She is now in a wheel chair with extreme mental disorders.